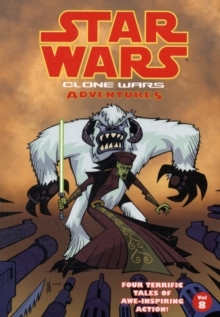 Inspired by the Emmy Award-winning Cartoon Network animated series, the seventh volume in this fantastic pocket-sized series makes the "Star Wars" galaxy a whole lot bigger, with four more thrilling tales of planets in peril and Jedi in jeopardy! 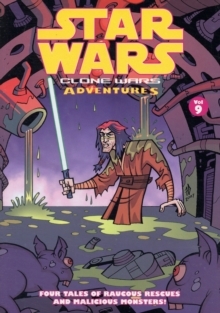 The Clone Wars grind through the galaxy, shaking every system and testing those on both sides of the conflict. 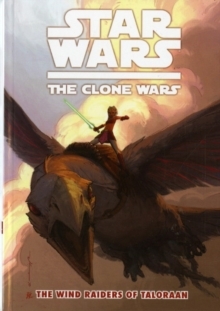 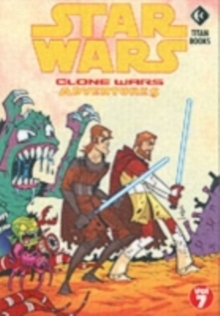 Obi-Wan Kenobi, Anakin Skywalker and Yoda must struggle against the might of the Dark Side - a power that grows stronger every day...Featuring the gorgeous art style pioneered by genius cartoon creator Genndy Tartakovsky ("Samurai Jack"), this is an action-packed jump to light speed for "Star Wars" lovers of all ages!